Microsoft Access Training: Everyone Needs It! Start Training MS Access Now! Microsoft Access Training: Everyone Needs It! Start Training MS Access Now! 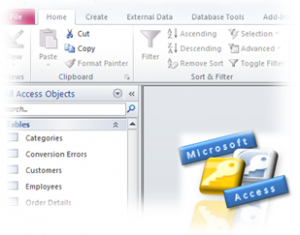 Home » Database Theory » Microsoft Access Training: Everyone Needs It! Start Training MS Access Now! Microsoft Access Training: Everyone Needs It! Start Training MS Access Now! If you have dabbled with Microsoft Access but still struggle, then Microsoft Access training is essential to avoid the pitfalls and master the design, methodologies and functionality of such a powerful application. Training MS Access has been my privilege and vocation for nearly twenty years and whichever method you use to learn Microsoft Access, there are pros and cons in the way you master the application and the time it can take. There was a time when spreadsheets were sufficient for managing the massive waves of data that information workers used to perform their jobs. Today, organizations and their employees are tasked with managing a data load that has grown exponentially. Spreadsheets are no longer a viable option for many; databases have replaced them as the tool of choice. Unfortunately, database programs are often difficult to learn due to their scope and flexibility. Formal classes try to fill the gap. For example, Microsoft Access training courses provide targeted glimpses into specific portions of the application. In this article, we’ll explore whether your business and its staff need Microsoft Access training to perform their jobs efficiently. I’ll provide an overview of the software and describe other strategies for learning to use it. At its simplest, the software is a database. It manages information. To understand how it’s used, consider a spreadsheet that contains 50,000 rows and 100 columns of data. While Excel provides a small level of flexibility with regards to manipulating the information contained within each cell, it suffers from severe limitations. Modifying that data can require extensive programming. What’s more, Excel (and all similar software programs) is limited in how well it can sort, filter, and use the information to easily create reports. Database programs allow the user to organize, modify, and compile the information held within its fields, generating reports easily. As noted, the main challenge in learning to use the application is its level of robustness. The amount of flexibility it gives users to manipulate information makes the program infinitely more difficult to learn. One avenue that people travel to absorb the subject is to buy books that teach it. To be sure, popular manuals will provide a bird’s eye view of the software. More detailed books will teach specific tips and techniques that users can apply. However, while some find this approach helpful, most people discover that true application of the principles taught within such books is difficult. The material is often complex and books can’t provide the guidance and help offered by formal Microsoft Access training instructors. Many people prefer to research software online; there are thousands of helpful websites that can provide step-by-step instructions. With enough time, you can uncover valuable online resources that offer comprehensive details about the program. That said, learning the application online is best suited for those who already have a foundation and know specifically what they’d like to accomplish. For example, searching Google for “how to modify an Access query” will yield specific instructions regarding how to perform that specific action. But, learning the fundamentals of the software is best accomplished in a Microsoft Access training class, with the help of an experienced instructor. People learn effectively by applying that which is taught. For example, teenagers learn to drive by driving. Golfers learn how to play golf by hitting the ball. Information workers learn to use software in the same manner: through hands-on experience. This is one area in which Microsoft Access training and Microsoft Excel training trumps other approaches. Instructors can help students apply what they’re learning, answering questions along the way. Every person needs to identify the most effective way they learn new material. For some, books will provide the foundation they need. For others, especially those who know exactly what they want to accomplish in the software, researching online will deliver the information they need. But, for people who have had minimal exposure to the application, Microsoft Access training classes can help them develop the personal knowledge base they need to perform their jobs. While it’s not the ideal approach for everyone, it may be the best approach for some. 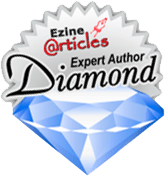 Christine O’Kelly writes informative articles for Directions Training, a certified Microsoft Access training Chicago provider. They also specialize in Microsoft Excel training. Chicago is home to this innovative, results-oriented firm, but they maintain campuses in several major cities. How can I help you? Get in contact with me and ask questions about your requirements for Microsoft Access training. Drop me a line if you require more information – contact me.